Alastair was a regular soldier for four years (1979-1983), seeing active service in the Falklands War of 1982 and also on peace keeping duties in Northern Ireland with the 2nd Battalion, Scots Guards. He is still a reserve officer, currently serving as Deputy Commander (R), 3rd UK Division in the rank of Brigadier, having served in Media and Communications and commanding the Media Operations Group (Volunteers). In March 2004 he completed his period of mobilized service on active operations in Iraq, on Operation TELIC. In 2010, Alastair was given an OBE in The Queen’s Birthday Honours List. 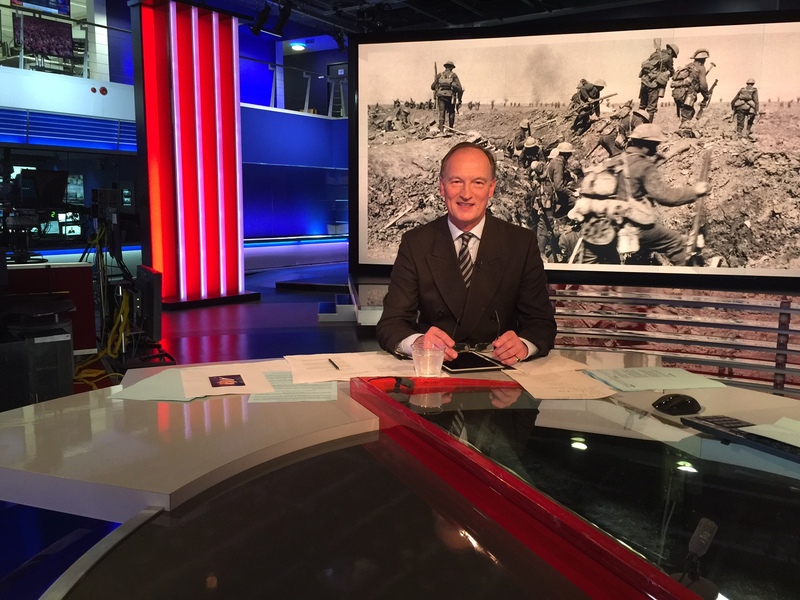 Alastair Bruce is Historical Advisor on film and TV projects, including Victoria, Downton Abbey, The Young Victoria, The Prince and the Pauper and The King’s Speech. He has also supported Indian Summers and is preparing other series. 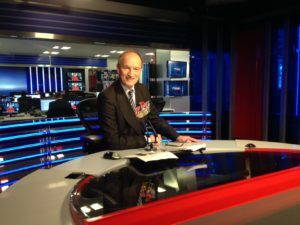 Alastair Bruce is the Royal, Constitutional and Religious Commentator for Sky News, the UK’s premier 24hr satellite news channel. 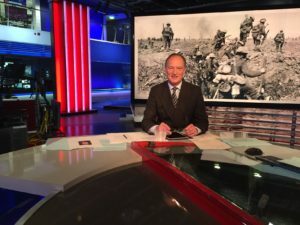 He was appointed 23 years ago and has covered all Britain’s great occasions, including the 90th birthday of The Queen, her Diamond Jubilee celebrations, the Royal Wedding, Papal events, and the funerals of both the Queen Mother and Diana, Princess of Wales: the latter to a worldwide audience of 87.5million viewers. 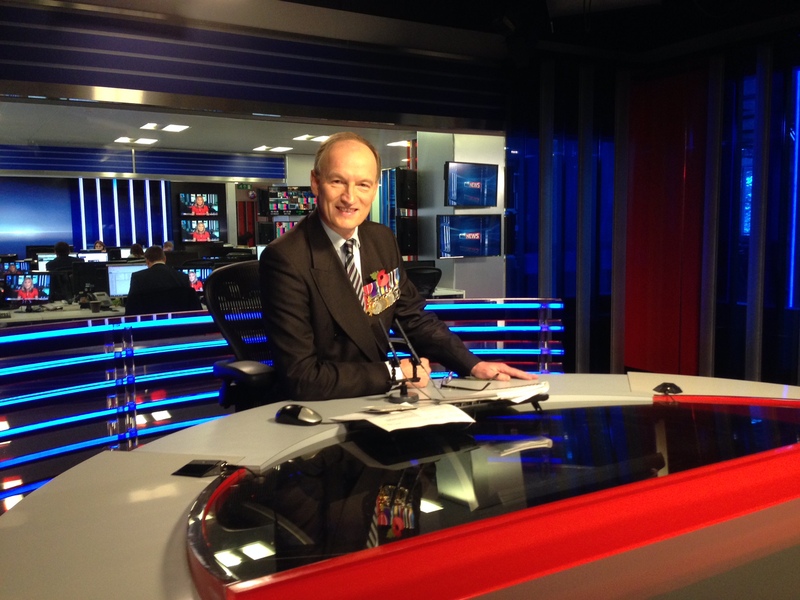 Alastair contributes to FOX News, ABC and the BBC. Alastair has written many books, including Days of Majesty, Keepers of the Kingdom and The Oldest that lists the oldest things in Britain. The Queen’s Birthday Parade was published last year, with a foreword by Prince Philip. He likes to tell history in an entertaining way, in order to open the rich culture of the United Kingdom, its style and romance to as wide an audience as he can reach. He has worked with many independent production companies in the preparation of TV documentaries. Many are regularly aired on PBS, Discovery and A&E channels. Among these are Manners of Downton Abbey, Nicholas and Alexandra, Victoria and Albert and Days of Majesty. Alastair is currently writing a new book for the American market. In 1998, The Queen appointed Alastair one of her Officers of Arms, with the odd sounding title of Fitzalan Pursuivant of Arms Extraordinary. This means that he has some responsibility for the heraldry of Britain, its Royal Family and the history it tells. He also offers advice to the Palace and Government on how the nation should ‘celebrate’ itself, and in due course he will help to plan the coronation of the next monarch, using his knowledge of the ancient rites. 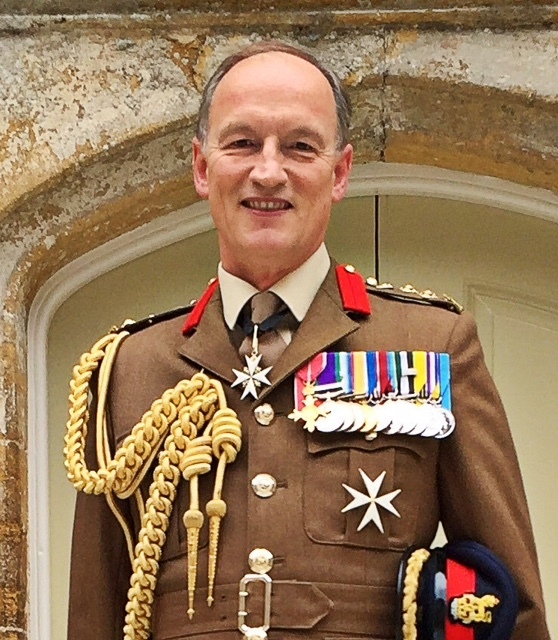 In 2004 Alastair was appointed to be an Extra Equerry to Their Royal Highnesses the Earl and Countess of Wessex. This is a part-time role to support The Queen’s youngest son and his wife when they perform Royal Duties in the United Kingdom and overseas, as representatives of Her Majesty, as Head of State. 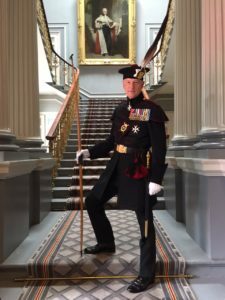 He also supports Prince Michael of Kent as Equerry. Alastair is also in The Queen’s Body Guard in Scotland, which is called the Royal Company of Archers. Trustee of the Falkland Islands Memorial Chapel, at Pangbourne. Lay Steward of St George’s Chapel, Windsor Castle. 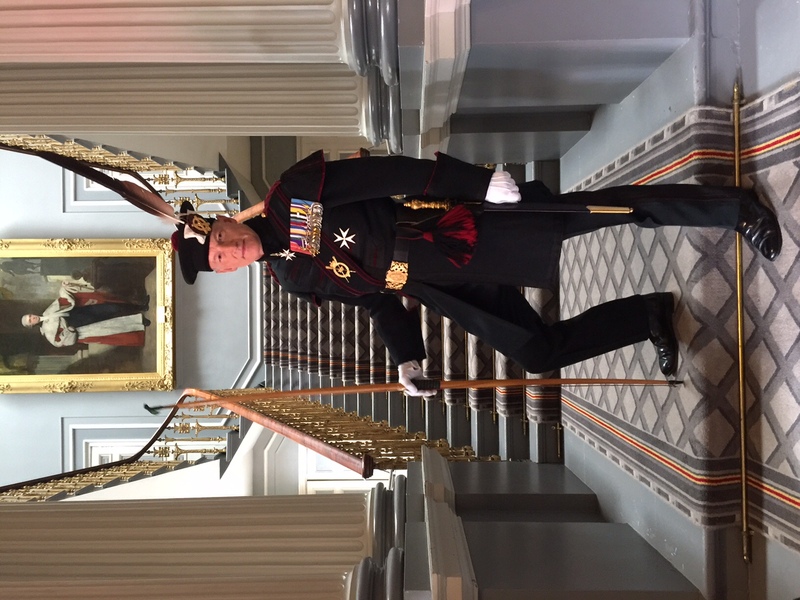 Aide de Camp to The Queen since January 2015. 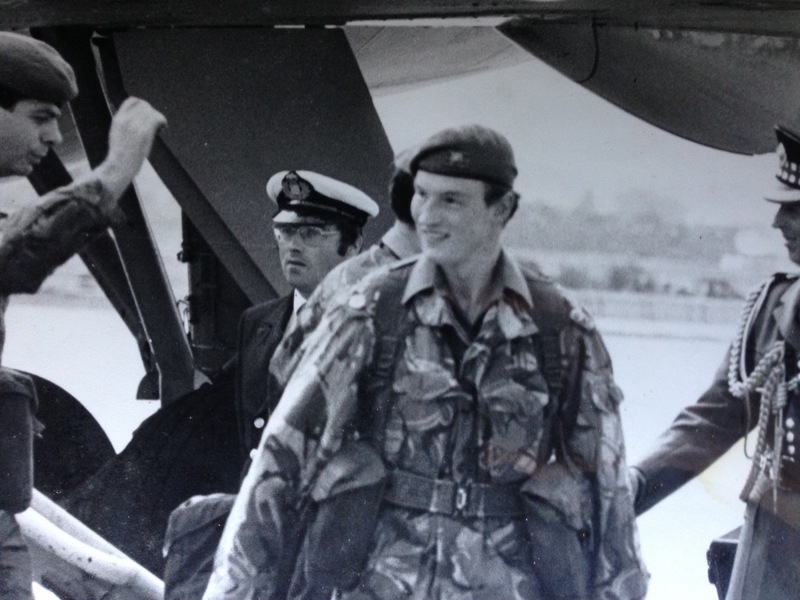 Alastair Bruce serves in the Falkland Islands as a Platoon Commander in 1982.